LIVE from Safeco Field: Yankees @ Mariners! This September, I had the privilege of working at spectacular Safeco Field on the NHK Network’s broadcasts of Mariners games with both the Los Angeles Angels and New York Yankees—in the heat of the American League Wild Card / Pennant race! Our NHK team was stationed in the 3B camera well, right alongside the Visitors’ dugout! 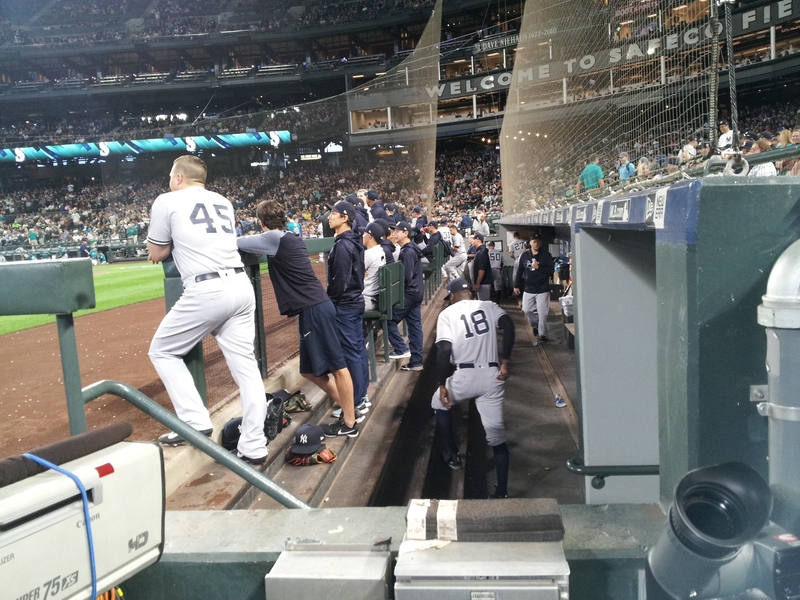 Peek into the Yankees’ Dugout! 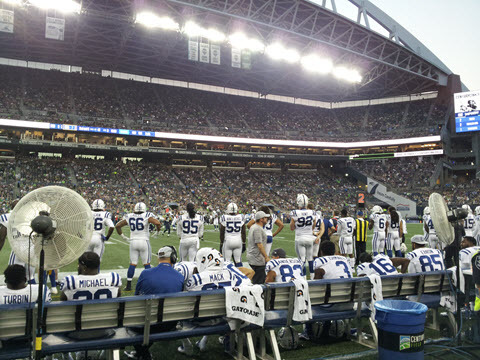 My first taste of live NFL action came at downtown Seattle’s spectacular CenturyLink Field, during the Seahawks’ 2018 preseason opener. 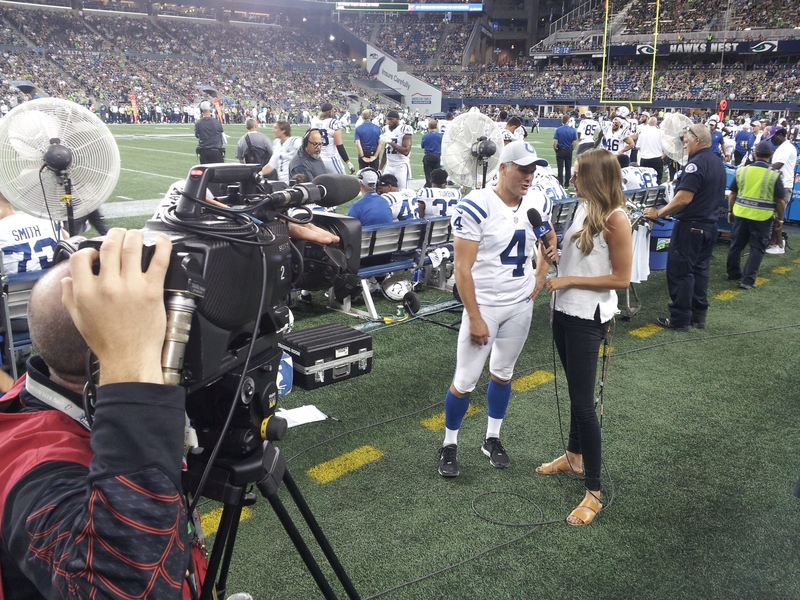 I was assigned to the visiting Indianapolis Colts’ broadcast crew, positioned primarily along the their sideline. Later this year, I’m booked for a few days with NFL Network at CenturyLink — STOKED! Come down to the SIDELINE with me! The 2018 USA Special Olympic Games took place in Seattle July 1-6, 2018, and I was there to shoot them. More than 4,000 athletes and coaches from all 50 states and the District of Columbia competed in 14 different sports across the best facilities in the greater Seattle region. This year’s Games celebrated the 50th anniversary of the Special Olympics movement. Get the BIG PICTURE in the blog! 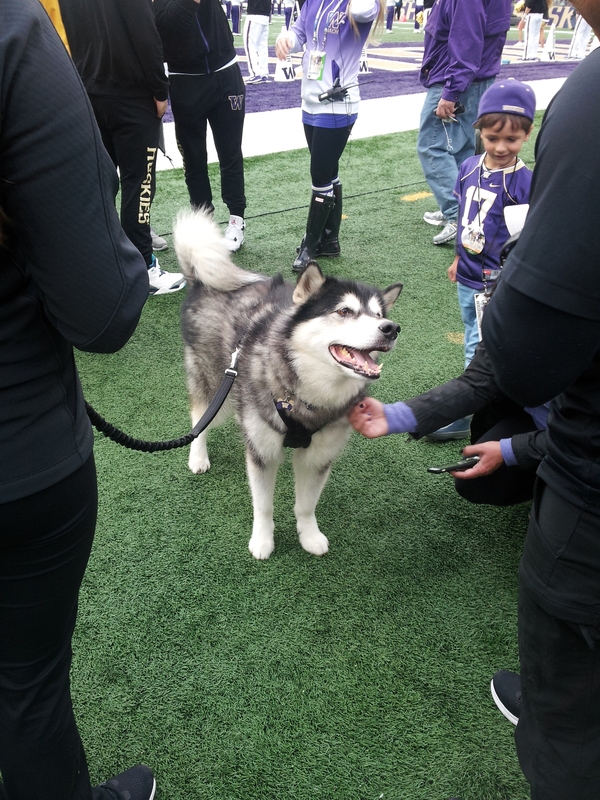 Last year, I had the opportunity to join the awesome TV crew for UW Huskies football, men’s and women’s hoops, women’s volleyball, softball and gymnastics — even working the NCAA Women’s Basketball Tournament and Seattle Metro League (high school basketball) finals at Alaska Airlines Arena. 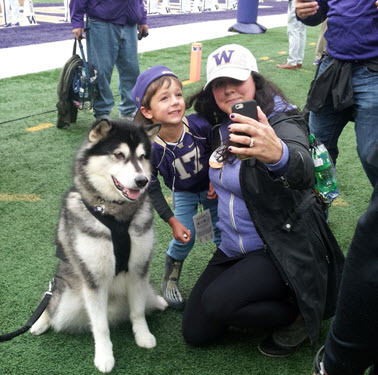 I’ve never been much of a sports fan, but now I feel a real sense of satisfaction when the Huskies do well, and I’ve gained a newfound appreciation for sports and the athletes who play them. See all the action in the BLOG! 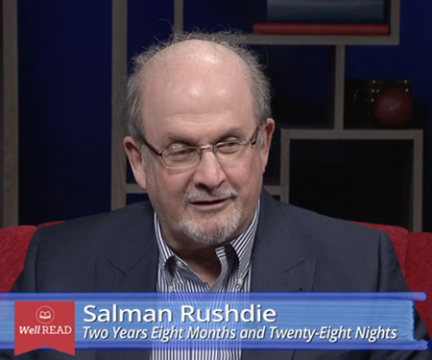 After leaving LA, I never imagined I’d still find myself working with A-Listers like world renowned political novelist Salman Rushdie (The Satanic Verses, Two Years Eight Months, Twenty-Eight Nights), feminist icon activist/author Gloria Steinem (My Life on the Road), trailblazing author/poet Erica Jong (Fear of Flying, Fear of Dying), and actor/author/playwright Jesse Eisenberg (The Social Network, Bream Gives Me Hiccups). How in the Seattle can this BE? Read more in the blog! 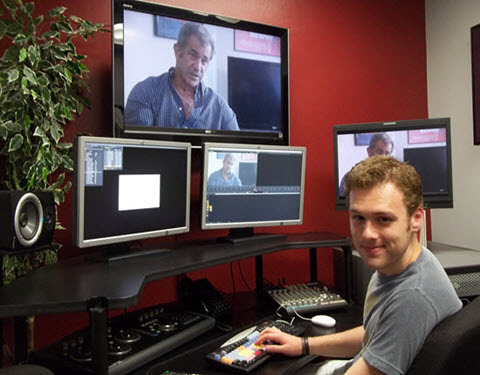 For reasons that will become clear, my film crew and I went to Icon Productions in Santa Monica to interview its founder and the writer/director/producer of 2004’s powerful The Passion of the Christ — the one and only, Mel Gibson. Go behind the scenes in the blog! Multi-award winning production company Mob Scene Creative + Productions called me to stand-in for FX’s mega-hit Sons of Anarchy creator Kurt Sutter (!!!) 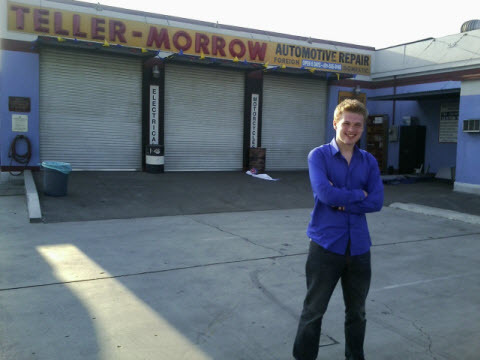 at a rehearsal for the premiere of Anarchy Afterword – a live web series that will air right after the Season 6 premiere – on the actual SOA set in North Hollywood! 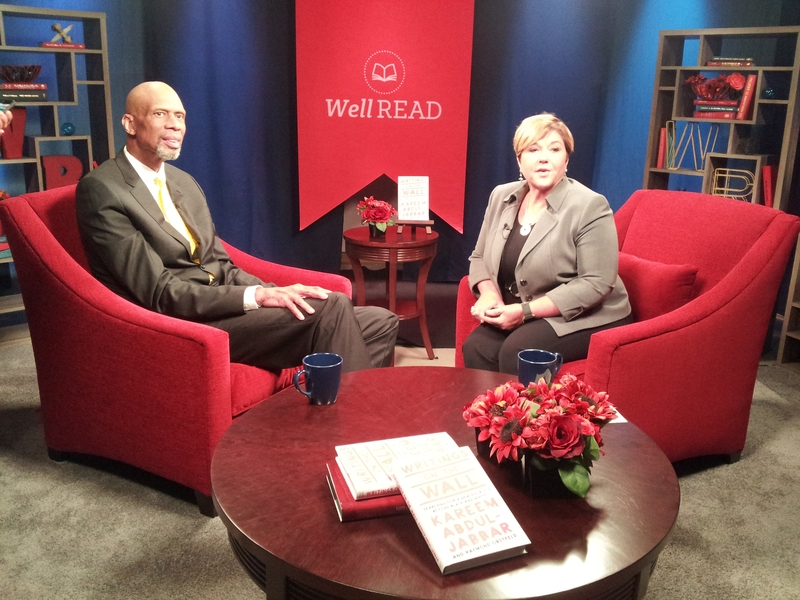 Read more & see pics from the set! In July 2012, I taped my second appearance as a student-host on FXM Presents’ Life After Film School. Our guests were Valerie Faris and Jonathan Dayton — co-directors of Ruby Sparks, the much-anticipated second film from the husband and wife team who brought us 2006′s Best Picture nominee and multiple Oscar winner, Little Miss Sunshine. Read all about the show here! 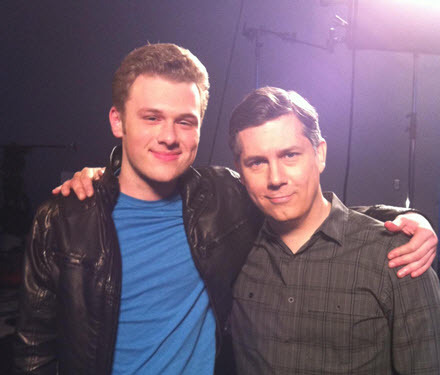 The second 2012 episode of LIFE AFTER FILM SCHOOL — featuring gifted actor / comedian, Chris Parnell, and my first on-screen turn as co-host — will be airing soon on the FX Movie Channel! 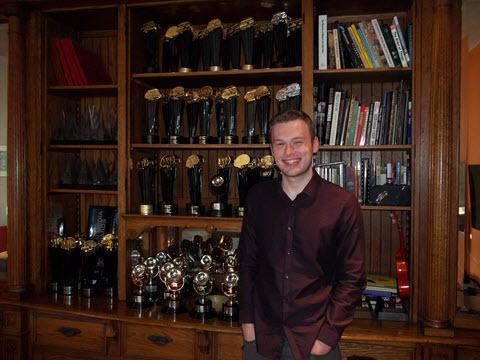 Read all about my interview with Chris! 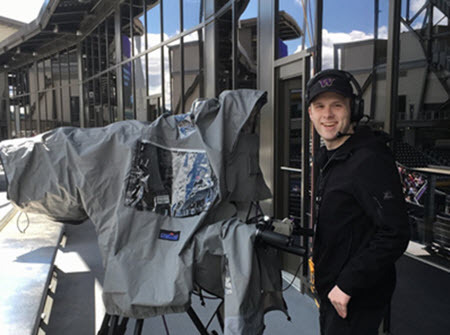 Read about my recent NFL and MLB broadcast TV gigs and other fun projects in the blog, including sideline jobs covering the Colts @ Seahawks preseason opener at CenturyLink and the Yankees @ Mariners at Safeco Field. Priest 2.0 (Copyright © 2015–Tyler Nicholas). A story of redemption and reinvention. Check out the official trailer for my feature-length documentary about the life and times of “the Jesuit Indiana Jones” based on my award-winning short film of the same name. I produced / edited several promotional videos for Lynnwood, WA’s, PAWS — the PREMIER animal welfare, rescue and educational organization in the Northwest. See the latest videos and read all about PAWS’ fantastic work in the community. 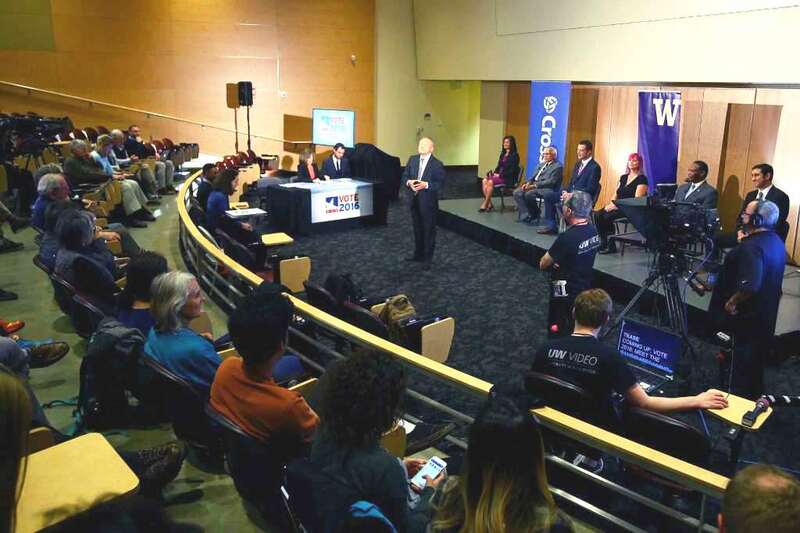 As a regular on the 2016 UWTV crew, I crewed UW Football for the #4-ranked Huskies during their run to the Chick-fil-A Peach Bowl, worked with amazing guests @ WELL READ, and even ran the teleprompter at the Democratic Congressional Primary Debate.